It’s a habit for many of us, metalheads and music lovers alike: going to YouTube, Spotify, Bandcamp, or iTunes to listen and download new music. And it’s a habit that has helped expand the musical horizons of many listeners and the reach of many underground artists. It’s a habit that keeps the music industry going in the 21st century. It’s a habit that keeps bands and musicians hopeful for their big break. And it’s a habit that eludes the 76 million residents of Iran. Make no mistake about it though; Iran is one of many nations that experiences nationwide censorship, but what sets Iran apart from countries like North Korea and Cuba is the relentlessness of Iranians to bypass and overcome the governmental restrictions on Western media. I will be focusing on the various restrictions present in Iran in this part, and the subsequent two parts will be dedicated to how Iranians circumvent restrictions and what exactly many Iranian musicians have told me about the state of underground rock and metal. In Iran, Facebook is blocked. So is YouTube. And Twitter, and many more sites which ultimately make it near-impossible for any Iranian bands to set up an online presence for themselves. The necessary communication to the fans is not a possibility, and this results in the bands having absolutely no foreign exposure. Metal, a genre that thrives on the underground and the independent scenes, cannot survive in such a suffocating environment. 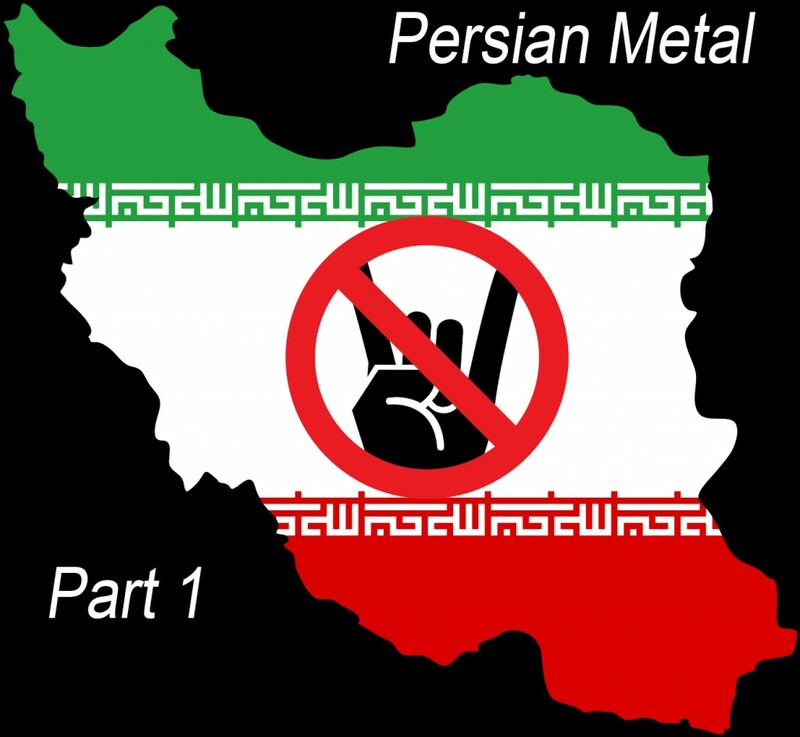 Encyclopaedia Metallum, the world’s largest resource on heavy metal, as of the publishing date of this article lists 56 metal bands that produce original music in Iran, almost all of which have Facebook representation. But these pages are usually moderated infrequently, dormant for long periods, or posted entirely in Farsi. In contrast to some other Middle Eastern nations, the number of metal bands in Iran is staggeringly high, especially for an oppressed nation, but that’s something we’ll explore more in the third article. A second facet of the Internet censorship in Iran is the stagnation of the metal scene. While someone living in Europe may be able to listen to the newest Wintersun album on its release day, someone in Iran would not have such a luxury. Music cannot legally enter the country, both physically and digitally, so the Persian metal scene has seen a heavy emphasis on cover bands, tribute bands, and rehashes of older metal legends of the likes of Metallica, Death, and Slayer. Music cannot be downloaded or listen to conventionally, but instead must be smuggled or shared online and then downloaded at a snail’s pace. Throughout my times in Iran, I’ve never once seen a single download of mine bypass 60kb/s on an ADSL network, with the average lingering around 15kb/s. In other words, we’re talking about two hours to download a single album, assuming that the download doesn’t get disconnected and you don’t run over your miniscule data cap. Simply put, music cannot be shared in Iran, and the metal scene cannot evolve and develop with the current Internet restrictions. 2. Live shows are banned. Not only does this extend to metal concerts, but also any style of music. All musical performances in Iran must be sanctioned by the government; otherwise the performers and promoters are at jeopardy of being fined or arrested. To further complicate things, the resulting hush-hush nature of metal concerts is just another dagger into the heart of heavy music in Iran. Metal concerts will rarely, if ever, be promoted. They will never be held in prominent clubs or venues. And, of course, they never receive attention in the mainstream and moderated press. The last thing most of these bands want is to be on the radar of the authority in Iran, so it’s a matter of staying underground or ceasing to exist at all. Vocals were not allowed at the show. All crowd members were to remain seated throughout the duration of the performance (no head banging, moshing). The band had to change their name from “Seven Deadly Sins” to avoid grief with the government. The band received permission for three nights of concerts; the last two nights were cancelled by the government. And since then, performances of metal music in Iran have become even more restrictive. To put that into perspective, this would render almost every single thrash, death, black, and speed metal band incapable on producing and recording music. The above themes are such an integral part to metal’s imagery and soundscape. With the oversight of the Iranian government on metal lyrics, it’s no wonder that so many bands stick to performing covers and shy away from releasing full-length original albums. Similarly, other facets of the metal albums, such as band photos, artwork, track listings, and album titles, must also similarly be approved. Refusal to receive approval means that an album will not be granted copyright claims, and furthermore their albums will not be allowed to be sold in the few remaining legal music stores. In Part 2, I will look at some ways that underground Persian musicians circumvent these restrictions and how some bands have been able to publicize their music globally from within Iran. Finally, I want to express my sincerest “Thank You”’s to the following artists and bands for helping with this article and giving me further insight on the state of metal in Iran. This entry was posted in Editorials and tagged censorship, featured, Heavy Metal, iran, persia, persian, restriction. Interesting and insightful. I'm looking forwards to reading the next part! Great article! I'm looking forward parts 2 and 3…..